What is MEPE Fellowship about? The Mary Ellen Pleasant Entrepreneurship (MEPE) Fellowship is a 10-week paid internship & entrepreneurship coaching program with The Whether. Beginning in Spring 2019, accepted fellows will be paid up to $2,500 and build a mini-startup focused on student coaching using the Soft Skills and Values Assessment . The fellowship is virtual. This means you will not need to travel and will participate while in school during the spring 2019 semester. What will I get out of the 10-week experience? 1. A practical paid experience working at a start-up you can put on your resume. 2. A way to help other students on campus with their careers. 3. Leadership and team collaboration skills through the Soft Skills and Values Assessment. 4. A potential trip to an awards dinner celebrating your success and networking with other entrepreneurial professionals at the end of the internship. Aden Simone Coleman is from Prince George’s County, Maryland. She is a junior and currently pursuing her bachelor’s degree majoring in Business with a concentration in Marketing at the Illustrious Morgan State University, located in the inner city of East Baltimore, MD. Marketing is the balance of art and science that analyzes how people interact with products and messaging. The art is the packaging of the messages and channel selection; the science is understanding buyer behavior over time and the results of testing. It is the beauty of mastering that balance, with all of its moving parts, that draws her to pursue a career in Marketing. Upon graduation, she plans to work as a marketing manager at a tech company and eventually work full time running her own successful business as an entrepreneur and traveling the world speaking, teaching and sharing her knowledge. Aden first learned that she had a passion for business, and marketing after competing and winning against 24 teams in a Leaders of Tomorrow National MBA Association Harvard-level business case competition where she represented the Washington D.C Chapter as she analyzed Whole Foods. She was even elected 2017 President/CEO of her chapter and was chosen to represent them at the LeaderTech Tour in Silicon Valley where she was immersed in technology-based corporate environments like Facebook and Google. During her Sophomore year in college, she was one of the four international students and one of the two students from the U.S accepted into the Simon Nehme Entrepreneurship summer school (First Cohort) based in Ottawa, Canada. After the teams tested and designed a new startup, her team won first place in the school’s pitch competition. Since her return from Canada, her love for entrepreneurship has grown excessively and she is now a budding entrepreneur working on her first business venture. She believes the MEPE fellowship will be very beneficial to her knowledge about entrepreneurship and startups and she is honored to be a MEPE fellow. Ahmed Ali is a first-generation immigrant from Khartoum, Sudan and also a first-generation college student at North Carolina Agricultural and Technical State University, where he is pursuing a degree in Business Information Technology. Upon graduation, he aspires to work in the IoT (Internet of Things) space. He has completed internships at Cisco Systems and Tesla in Silicon Valley. He is also an active member of the NAACP, National Society of Black Engineers, Association for Computing Machinery and Men on The Move. Outside of exploring the potential of smart networks, he enjoys playing soccer, traveling with family, giving back to his community and a good game of chess. He is honored to be a Mary Pleasant Ellen Entrepreneurship Fellow and hopes that the fellowship will provide him with the opportunity to further improve his leadership and communication skills. Asante Gadson is from Prince Georges County, Maryland. He is junior, pursuing a bachelor’s degree in Supply Chain Management and Business Administration at Morehouse College. In addition to serving as a mentor to a number of underclassmen students at Morehouse College, he has held numerous leadership positions on campus. Always seeking a way to better his community he has served as: Morehouse Student Government Assosiciation’s Director of Civic Engagement, Mentorship and Outreach Chair of LYTEHouse and now currently as Vice President, and a Co-Founder of Give a Book; Be a Mentor. Asante enjoys challenges and learning new skills that will make him more competitive in the work force. Additionally he aspires to start his own 501c3 certified Nonprofit organization that coaches and aids students of color throughout their academic career as well as connects those students with their peers and professionals of color who have a similar interest. Asante’s dream is to bring all HBCUs in to the 21st century and reinvigorate the culture surrounding them. Biruk Abate is currently a Junior Computer Engineering major at Jackson State University (JSU). He worked with the Google Ignite CS team to introduce STEM programs to nearby high schools in Jackson, MS, and led the JSU NASA Swarmathon, a team that participates in a NASA hosted robotics competition. His passion for entrepreneurship was sparked when he helped a peer review a pitch for a Startup investment. Biruk wants to build a technology ecosystem across his college campus in support of student entrepreneurship. This coming summer, Biruk will intern at FedEx. Biruk was born in Addis, Ethiopia. Carl Wesley Smith is from Macclesfield North Carolina and is currently a Senior Mass Communication student at North Carolina Central University. Throughout his college career, he proudly served as President of Students Initiated to Mentor Build & Achieve, Junior Class Senator for the Student Government Association and member of Kappa Alpha Psi Fraternity, Inc. Upon graduation, Carl plans to utilize his skills by being an entrepreneur and sparking other entrepreneurs to expand their businesses. Destinee Filmore is originally from Tampa, Florida. Destinee is a second year, first-generation student at Spelman College. She is currently pursuing a B.A. in International Studies and accompanied by a minor in Art History. Upon graduation aspires to pursue a Ph.D. in Art History and to become a curator and published art historian. As a curator, Destinee hopes to create art exhibitions that discuss international themes with artists from around the world and to one day own and operate her own art gallery. She is also interested in advocating for the accessibility of arts-based education programs for low-income student and students of color. Destinee is honored to represent Spelman College as a Bonner Scholar, Social Justice Associate, and Mary Ellen Pleasant Fellow. Dorian Holmes is a sophomore Computer Science student at North Carolina Agricultural & Technical State University. On campus, Dorian is an active leader as President of the Aggies Cyber Defenders and an e-board member of Association Computational Machinery. 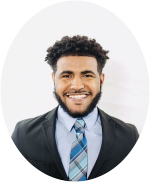 He is also a member of the HBCUvc Class 2 Fellow cohort where he is gaining experience in developing a startup ecosystem in communities of minorities and equipping entrepreneurs tools to develop strong businesses. This past summer he interned at Facebook in Menlo Park, CA and will be interning with Microsoft in Seattle, WA during summer of 2019. Dorian was born and raised from St.Louis, Missouri. Deandra Simpson is a sophomore at Fayetteville State University who is pursuing a B.S in Nursing along with a double minor in Biology and Spanish. Her plans for the future include continuing on to medical school to pursue an advanced degree and become a dermatologist. Following this, she hopes to eventually utilize her entrepreneurial skills to open a private practice intended to cater towards providing medical services to a wide range of people with a focus on marginalized and disadvantaged groups. Jabari Hopson is originally from Kansas City, Missouri. Jabari is a third year, second generation student, at Morehouse College. He is currently pursuing a Bachelor of Arts in Business Administration and Management. Upon graduating from Morehouse, he aspires to attend Harvard Business School obtaining a Masters of Business Administration through their 2+2 deferred admissions program. 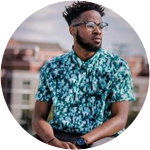 After working as a strategy and operations consultant for some time, Jabari ultimately aspires to establish his own consultant group working with senior executives in developing solutions for their most complex and intricate problems. Outside of professional development, he is interested in becoming a mentor and role model to those in urban communities. Jabari is honored to represent Morehouse College as a 2019 Mary Ellen Pleasant Entrepreneur Fellow. Jameerah Ali from Philadelphia, Pennsylvania is a double major in accounting and finance at North Carolina Central University. During the fall, Jameerah studied abroad in Bangkok, Thailand focusing on her finance courses. Jameerah has held the role the president of NCCU chapter of NABA and a proud member of the Alpha Chi chapter of Alpha Kappa Alpha Sorority, Inc. 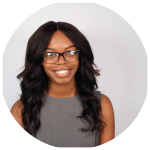 Upon graduation, Jameerah plans to pursue her CPA in addition to beginning her career. Jai’lyn Richardson is a senior at Tennessee State University from Montgomery, AL. She is majoring in business administration with a concentration in supply chain management. She is a member of the Honors College, Golden Key International Honour Society, and Beta Gamma Sigma. She is also a Community Service Scholar at TSU. She has a passion for serving her community, and she volunteers with multiple organizations including Big Brothers Big Sisters of Middle Tennessee. Jai’lyn is even starting to lay the groundwork for her own non-profit organization. She loves to travel and studied abroad in six European countries in June and July of 2018. Through various workshops and conferences such as the Allen Entrepreneurial Institute, Forte Foundation Women of Color Conference, JP Morgan and Chase Launching Leaders Summit, Bizwomen Mentoring Monday, and the Goldman Sachs HBCU Leadership Conference, Jai’lyn has been able to expand her business acumen and gain an even deeper look into the business and entrepreneurship worlds. Jai’lyn has secured an internship during summer of 2019 at a top financial services firm to gain more experience and explore the finance industry. Jasmine B. King is from Vicksburg, MS. She is a junior majoring in Political Science with a concentration in Pre-Law at Jackson State University, an HBCU located in the heart of Mississippi! Upon earning her Bachelor of Arts, Jasmine aspires to obtain a Juris Doctorate and begin a career in the corporate sector. Kanita Hutchinson is from the peach state, Atlanta, Georgia. She is a graduate student with a green thumb, pursuing a Masters in Agribusiness at Tennessee State University with aspirations of working with a company who values its customers through food, research and traveling. She wants to travel while educating individuals about what she is passionate about, Agriculture. As an individual who truly takes full advance of what her University, community and other resources provide for her to further her education and future endeavors because they are available for her to utilize. Striving to break barriers, making a change and creating a way for others to apply themselves while being a humanitarian in their community, confident leaders and encouraging others to motivate. Keneisha Deon Wiggan is originally from Portland, Jamaica. She is a goal and change – oriented second year, first generation student at Claflin University. Keneisha is seasoned in the arts of Management Information System with the ability to think critically and be innovative. She is a leader by heart who strongly believes that “Team work makes the dream work”. She also aspires to become a Product Manager, and entrepreneur. 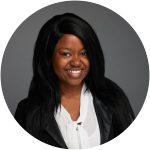 In the summer 2018, during her freshman year, Keneisha interned with Microsoft, therefore, she is well on her way to gained sufficient coding and research skills that can help build a successful career for her. She hopes to one day start a company that will be focused on building software programs that can teach anyone who is willing to learn new skills and techniques that they can use to obtain jobs and even a degree. Keneisha is elated and honoured to be representing Claflin University as a 2019 Mary Ellen Pleasant Entrepreneurship fellow. Khalia Fernandez is from Lanham, MD. Khalia is a third year honors student at Morgan State University in Baltimore, MD. Currently pursuing a B.S. in Psychology, she spends her afternoons in the Cognitive, Applied, and Perceptual research lab at Morgan State to better understand her peers and how she can aid in their success during their matriculation at Morgan. 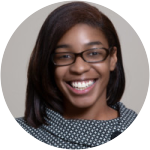 After graduating, Khalia hopes to incoporate her passion for psychology and love for research to work in Industrial/Organizational psychology. Lyjiria Lacy is a Senior biology major at Dillard University from Long Beach ,California. She will be graduating this spring. Her career goals include becoming a physician assistant , getting her PhD in physician assistant studies and opening up a women’s health clinic that primarily focuses on the health issues that disproportionately affect minority women. At Dillard University Lyjiria is a resident assistant , a member of the the Minority Association for Pre-Med students , Pre Alumni Council and the Beta Kappa Chi National Scientific Honor Society. Markia Brown is a senior Marketing major at Albany State University. She was born and raised in the beautiful Fort Lauderdale, Florida. She loves to shop, step and sew in her free time. Her goal for her career is to become a marketing manager for a retail company and to own a few businesses. Mauriac Alapini is from Suitland, MD by way of Benin, Cotonou. Mauriac is a second year student at Morgan State University in Baltimore, MD. Mauriac is a first generation college student. He is majoring in Nursing & plan on being a Neurosurgeon. He is fluent in English & French. Monica Geter is a Senior Psychology major at the prestigious Benedict College of Columbia, South Carolina. Monica will be graduating with honors in May of 2019. She is from Queens, New York. Her future endeavors after graduating entail, pursuing a Graduate Degree in Public Relations, and obtaining various certifications while being active in the field. Being an entrepreneur in PR is definitely a major goal of hers. Monica is an active member of ABPsi (Aspiring Black Psychologists), Collegiate 100 of BC, SisterAct, The Sigma Alpha Pi chapter of NSLS (National Society of Leadership and Success) and The 20/20 Leaders of America. Ms. Geter, wants to aid in the advancement of young individuals who want to become future leaders in their communities as well. She is ecstatic to be a Mary Ellen Pleasant Entrepreneurship Fellow, and has plans to bring her “Fear of Failure” and “Power of Progression” foundations to light. She exemplifies #TheBESTofBC. Mya Jacobs is a second generation college student. More specifically, she’s a Dean’s List, third year Sales and Marketing Major at the Xavier University of Louisiana in New Orleans. She plans to one day oversee a network of her own successful business ventures and non-profit organizations geared to directly impacting the quality of human life. Some of her recent endeavors include: a year long fellowship with local non-profit Fund 17, becoming a trailblazing woman of Delta Sigma Theta Sorority, Incorporated, competing impressively at several competitions at the Kelley School of Business, and securing an internship with a Fortune 500 for the upcoming 2019 summer. Somto Nweke is a Computer Science Junior at Morgan State University. He is a tech-savvy and tech-curious student who likes to use his research skills, increasing Python and IOS development skills to tackle challenges. He enjoys creating and implementing business development and strategic plans for launching new products. He has represented Morgan State University at Hackathons and is currently part of the SBDC Business Incubator on Campus. In my spare time, he researchs technical details for new products, listen to music, and develop user interface ideas. Taylor Ford is from High Point, North Carolina and is a Junior Business Administration Concentration: Entrepreneurship student at North Carolina Central University. On campus, she is involved in many organizations and extracurricular activities. This includes the Beta Gamma Sigma Honors Society, the Career Services Center as an intern, the Academic Success and Enrichment Services Department as a Tutor, and North Carolina Central University Business School Council. Taylor prides herself on being a team-oriented leader that motivates/encourages others to reach their goals. Taylor has developed these skills by participating in a variety of leadership development programs including the Summer Institute for Emerging Managers and Leaders at the University of California, Irvine/Berkeley and the Goldman Sachs HBCU Leadership Summit in New York, New York, and being a Thurgood Marshall scholar. Taylor’s career goals are to be an executive for a Fortune 500 company, and later on become an entrepreneur. Victoria Bryant is a first-generation college student from San Francisco, California. She is a graduating senior at Paul Quinn College located in Dallas, Texas, pursuing a Bachelor of Science in Business Administration with a concentration in Management. Victoria is currently the Student Government Association Senior Class President, the secretary for a women empowerment organization on campus known as Sisters With Vision, and an active Student Ambassador for Paul Quinn College. Victoria has served as a corporate intern for JCPenney and Liberty Mutual Insurance in Plano, Texas. She was also one of the first students to experience the college’s initial satellite campus expansion that piloted in Plano in August of 2018. Victoria has experience working with public, private, and community benefit organizations in San Francisco, in which she has provided valuable insight and thought on the future development of the city’s Southeast sector. Victoria has become a trailblazer in her community by inspiring youth of color to stay in school and pursue higher education upon graduating from high school. Upon graduating from college, Victoria will continue to make an impact in the lives of youth around her by mentoring them and providing assistance in identifying their mission in life after high school graduation. Victoria is ecstatic to represent Paul Quinn College in the first class of MEPE fellows. She is eager to collaborate with the 2019 MEPE Fellows and make this a meaningful experience for all. Victoria is committed to using the valuable knowledge obtained to uplift and support as many HBCU students as possible. Ben is truly one of a kind! He is originally from Charlotte, North Carolina and is currently studying Business Administration with a concentration in Management at Fayetteville State University in North Carolina. In addition to being a full-time student, he has also held numerous leadership positions in organizations such as: President of the Society for the Advancement of Management, President of Collegiate DECA, and was also a co-host on the premier talk and variety show at the radio station on campus. His hobbies include mastering his craft by studying business books, implementing the philosophies of successful CEO’s, and analyzing the growth patterns of many of today’s most prominent companies. Ben has also completed internships with the Thurgood Marshall College Fund and the Perkins Entrepreneurship Training and Leadership Development Institute. Mr. Rogers currently works with a team of Financial Advisors as a Financial Representative at Northwestern Mutual in Raleigh, North Carolina. He has many vocational aspirations and believes true success is a journey, not a destination. Enabling and cultivating the entrepreneurial mindset and spirit is a true passion of his and he intends to use the resources from the M.E.P.E. Fellowship to assist others in doing the same for themselves. Zaire Jenkins was born in Rochester, NY. She moved to the Carolina’s about six years ago. She graduated from Harding University High School in Charlotte, NC. where she received two scholarships. A 1,000 academic scholarship from Communities in Schools and a full ride from Project One. This is her sophomore year at North Carolina Central University studying Psychology. She plans to further her education with a master program in psychology, so that she can start a career in Industrial Psychology. She is also proud to call herself a MEPE fellow for 2019! The Whether is a minority-owned technology company that helps students of color discover and prepare to meet with companies planning to visit their college campus. The company has raised $2.5 million to date, generates more than $1 million in revenue, and recently partnered with the Bill & Melinda Gates Foundation to support this innovative initiative. What commitments do I need to make for the Fellowship? Fellows are expected to commit at least 4 hours a week (about 45 minutes a day) to the internship. A 10-week curriculum based on key startup principles will be tied to campus engagement goals. Fellows will also incorporate videos, readings, and quizzes. The fellowship is designed to identify future entrepreneurs that want to leave a legacy. Students who apply early have an advantage because our team will have more time to read their applications. You can submit after the deadline - though keep in mind that the later you apply, the harder it is to get in. Convince at least 3 friends to complete their Soft Skills and Values Assessment. We'll send you a customized referral link to keep track of your progress! Apply with others as a team! Each team member must submit their own application. Teams can be up to 5 people. Create a 2-minute video (YouTube, etc.) pitching how you (or your team) would creatively engage 500 students and help them choose a major, pick courses, or prepare for an internship interview. Submit your team and video link . 1. Any student that attends an MEPE Fellows partner school may apply. 2. We recommend exceptional, high performing students who will not graduate prior to Spring 2019. 3. We recommend students who have a minimum 3.0 GPA and have demonstrated leadership experience. 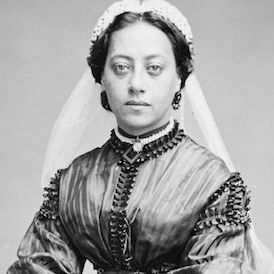 Mary Ellen Pleasant was a very successful 19th-century African American entrepreneur, financier, real estate magnate and abolitionist who identified as ‘a capitalist by profession’ in the 1890 United States Census. Pleasant came from humble beginnings being born into slavery. With her husband, through smart investments and business dealings, she amassed a fortune estimated to be around $30 million dollars. She made active contributions to the abolitionist movement and fought for civil rights in California. She also used her influence and wealth to employ Black Americans, freed and runaway slaves from the underground railroad, at her various businesses. She was a friend and financial supporter of John Brown, and was well known in abolitionist circles. After the Civil War, she took her battles to the courts in the 1860s and won several civil rights victories, one of which was cited and upheld in the 1980s and resulted in her being called “The Mother of Human Rights in California”. The MEPE Fellowship embodies her vision, spirit, and desire to help others. With an opportunity to showcase their entrepreneurial talent, fellows can make a significant impact on campus with other students.